FreeForms 13 Nights of Halloween 2017 - With Links! The list is here! 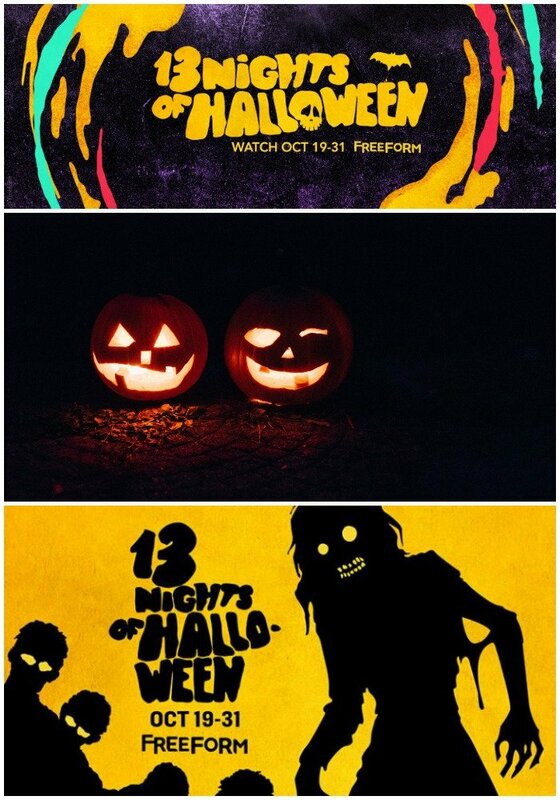 This is FreeForm's 13 Nights of Halloween line up for 2017! Lots of great shows! Not able to watch it? Check out the links to find the DVDs or Amazon Video versions! My family loves to make a movie night of them on the weekends and we always have them on during the day and will grab some popcorn and M&M's (don't knock it till you try it!) and watch one each night! My kids love the movies and Hubby and I love the family time! Please check the ratings on each movie, I noticed this year there are a few rated R and some other we won't be letting our younger children watch. 4:15pm/3:15c Disney•Pixar's Toy Story of TERROR! 11:30pm/10:30c Disney•Pixar's Toy Story of TERROR! The full list and more on FreeFrom's website. So tell me, which movies on the 13 Nights of Halloween list are you excited to watch this year? !